Just One W.I.P: Where's all the knitting? For someone that used to blog an awful lot about my fo's (finished objects), I've just done a look back at my posts this year to check that I won't repeat myself to find that I haven't really posted about my knitting since this post here which was pre-David! So here are just a few things I've knitted this year, I've got plenty more to add so I'll just start with a few. 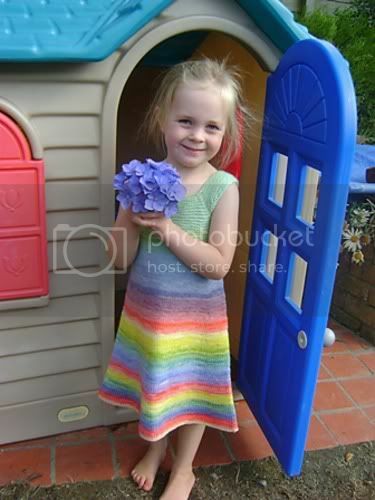 This Rainbow Dress was knitted for my daughter Penny's 4th birthday (in February!). 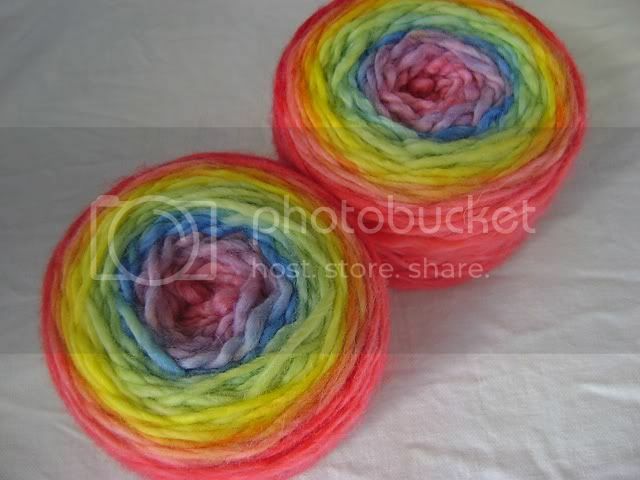 The beautiful yarn was dyed by Shannon Passmore. 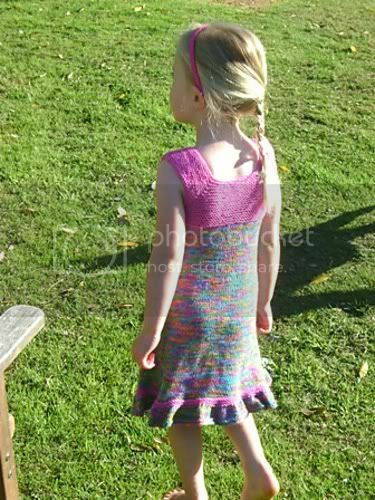 Since then, I've had a go dyeing a few rainbow gradients of my own. And these Barbie sized ones were actually knitted recently, testing them for Georgie who is working on a plethora of dolly designs at the moment. The barbies are naked no longer. the dress is so so pretty! Popping in to say HELLO from Blogtoberfest. Isn't she gorgeous! 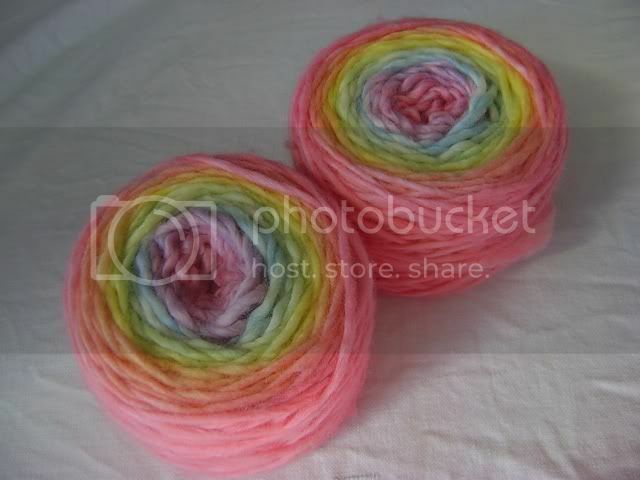 I would so love to dye some gradient yarn for my girls. A tutorial would be great! 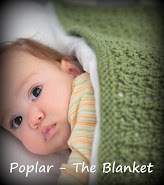 Blogtober the 17th, 8 months old today! Less Than A Week Left! 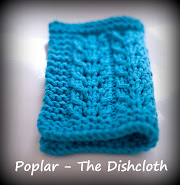 Blogtober - The Best LYS Ever! In search of a knitter?